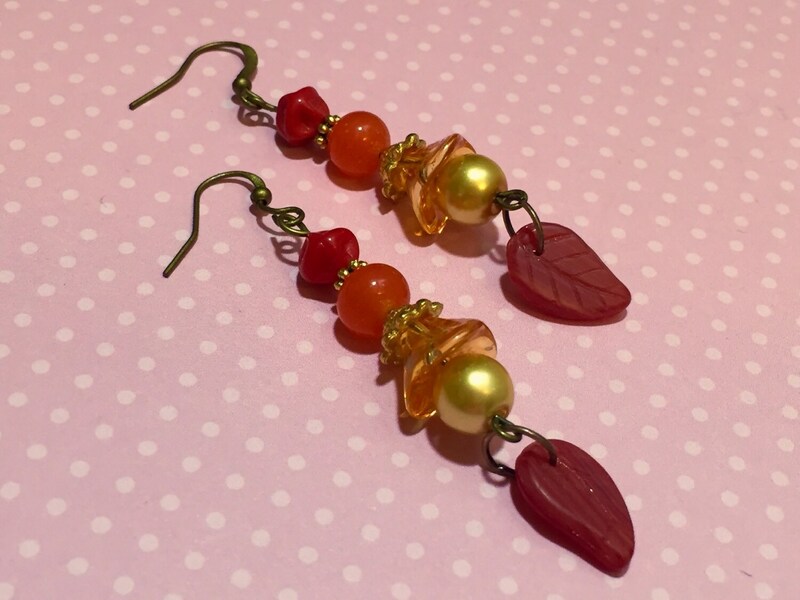 Whimsical woodland themed earrings made in the colors of autumn. 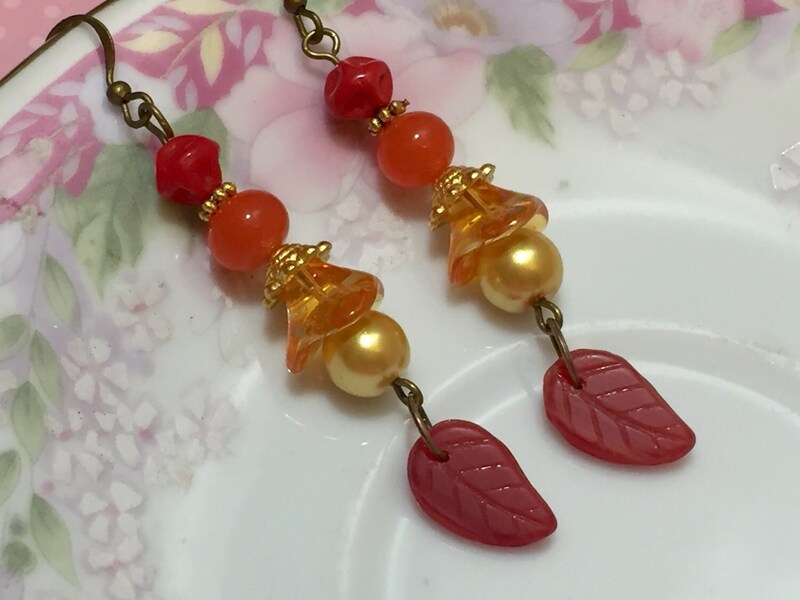 I made these with red vintage pinched czech glass beads, gold findings, vintage orange moon glow beads, orange czech glass flowers, golden yellow glass pearl beads, and red vintage czech glass leaf beads. The ear wires are nickel and lead free. You are purchasing the earrings photographed. 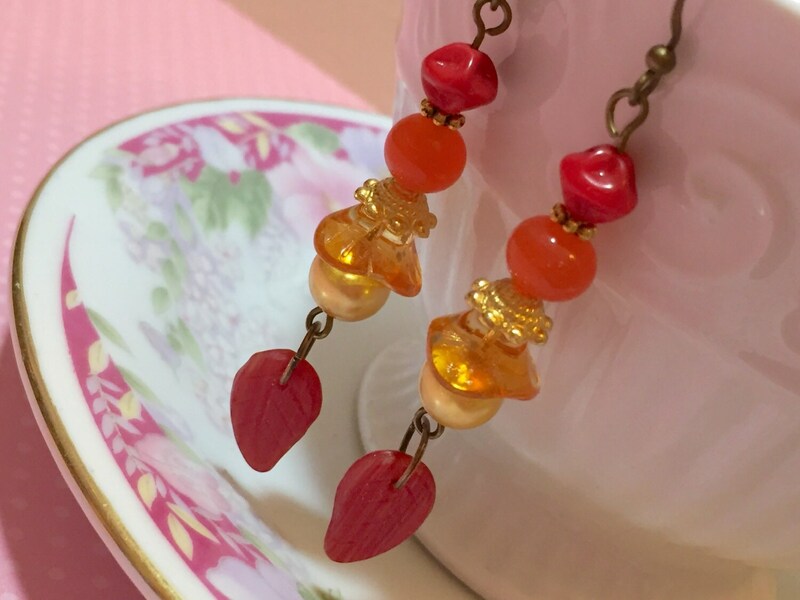 They dangle about 2 5/8 inches (6.7cm) from the top of the ear wire to the bottom of the whimsical red leaf.